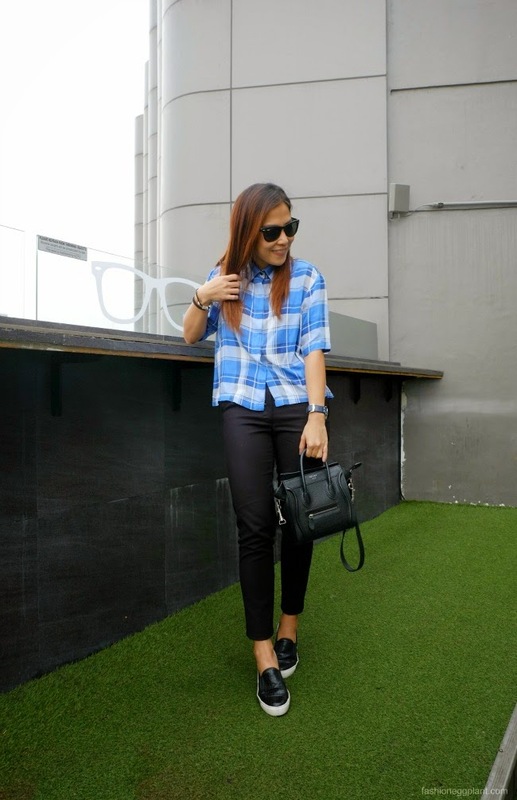 I love these semi-crop, boxy button downs. They totally solve the tuck-in/untuck problem that I usually face when wearing oxford shirts. Sometimes they're slim in the hips which makes them impossible and odd looking to wear out yet too stiff and office-y looking to wear in. The looser ones tend to be longer and end-up looking sloppy when left out. Tucked in, they balloon and make me appear larger than I actually am (although being a fan of loose clothing, I am often a violator of this despite my better judgment. ALWAYS comfort over fashion :P). 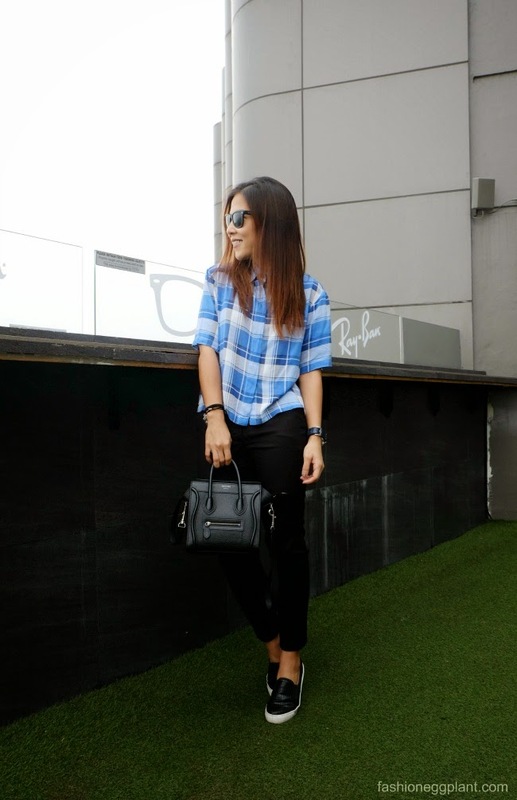 These crop oxfords allow me to enjoy the best of both worlds: loose-fitting yet neat-looking, and put-together. So this is what I wore to the Ray-Ban "What You're Made Of" event (you can read more about that here) at 71 Gramercy a few days ago. It was in the afternoon and I had to rush straight from the airport so I wanted something really easy and comfortable to wear.